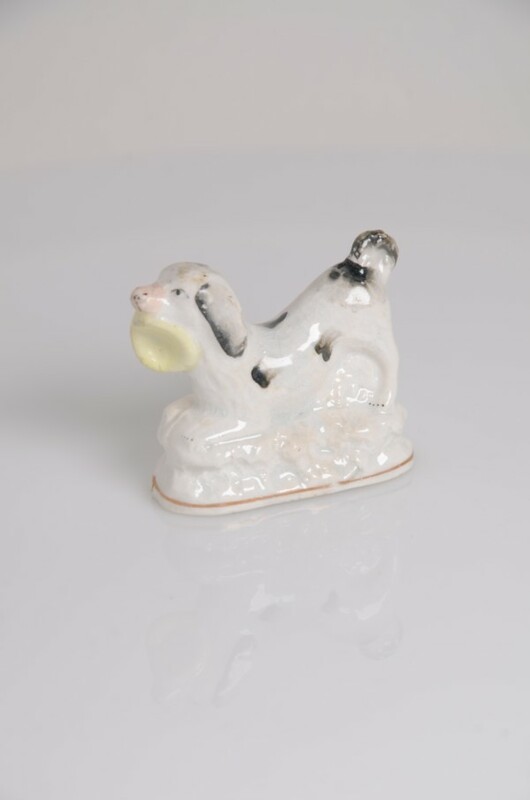 A miniature figure of a toy breed of dog with a bowl in its mouth . © Copyright RTS Antiques 2017. All Rights Reserved.